I felt just awful about that until I went to the farm’s website a moment ago to link their name in this post. Now I’m really upset. Apparently, the year we last picked and brought home raspberry plants was the farm’s last operable year for u-pick. 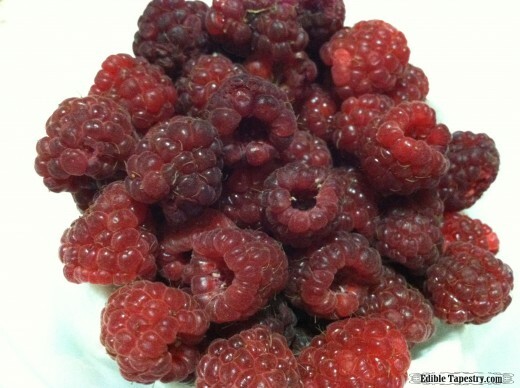 An invasive fruit fly species wiped out all of their raspberry rows. I guess that means mine are next since I garden organically, as well. They sell greenhouse grown turmeric and turmeric tubers now, but I don’t know if I want to go back and see that lovely little farm without it’s hearty rows of trellised raspberry plants. My special raspberries, even more special now that I know they are on borrowed time, have to be beaten back every year, not pruned but beaten, so that we are able to get close enough to pick all of them when they fruit in June and October. I didn’t beat them last year but transplanted two rows of shoots and sold about a half dozen more. I planted them at the absolute wrong time of year, at the hottest part of the day, so am not sure if I will have my two rows pop back up this spring. I doubt it, but know from experience that there will be plenty of offspring to move to my intended raspberry patch this summer. As long as those dadgum Drosophila Suzuki flies don’t find our hidden cove and settle in. But first I need to get my club and beat the old row back into submission before the weather warms and it starts sending shoots back into the sky. 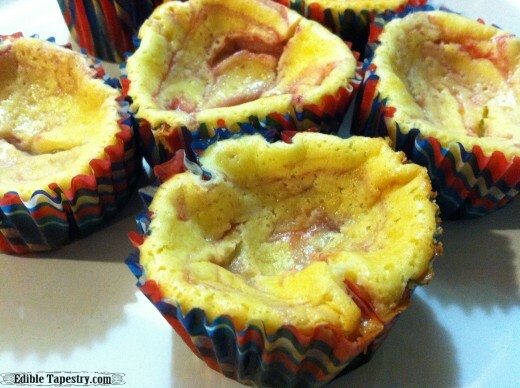 I made these mini cheesecakes last year with some of my fresh raspberries. Because I was on a shortbread kick, absolutely addicted even more than I usually am, I chose to use crumbled cookies for my crust, rather than graham crackers. They were the perfect buttery choice. 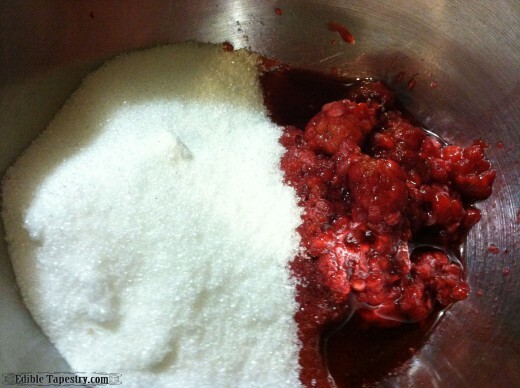 For the raspberry sauce, combine the sugar and raspberries. Allow the berries to masticate in the sugar while you whip up the cheesecake filling and make the mini crusts. Stir occasionally to help the strawberries break down. 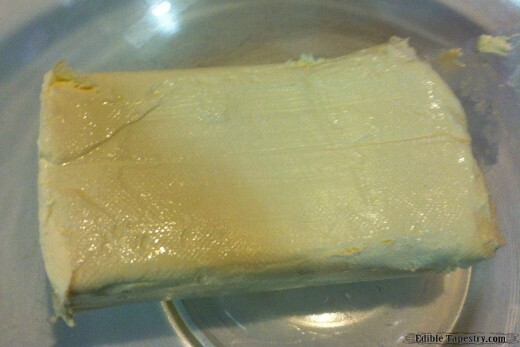 To make the crust, melt the butter. 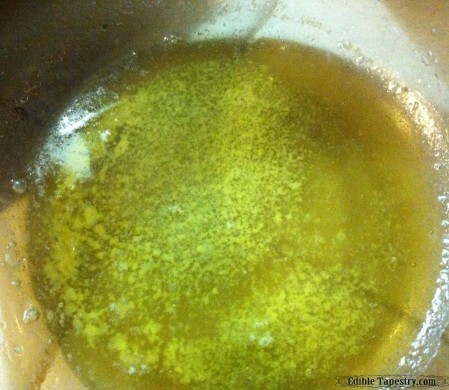 Combine the butter and the crumbs. 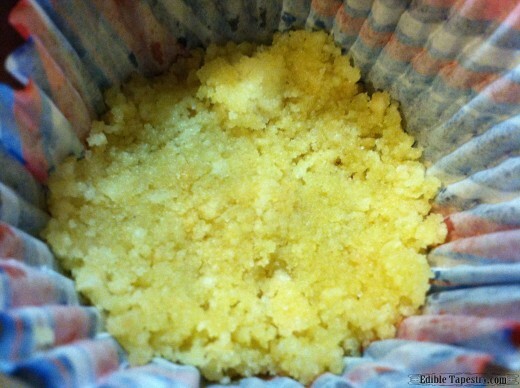 Press it into the bottom of 6 muffin paper liners. 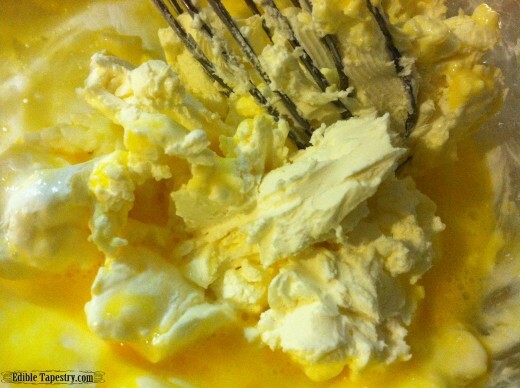 The batter can be made with a mixer or by hand with a whisk. Beat in the remaining ingredients until thoroughly combined. 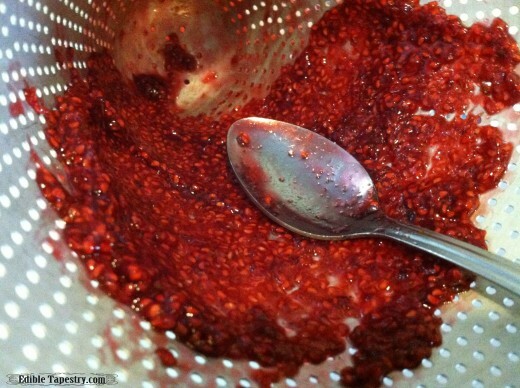 Strain and press the raspberry and sugar mixture through a sieve to make the coulis. 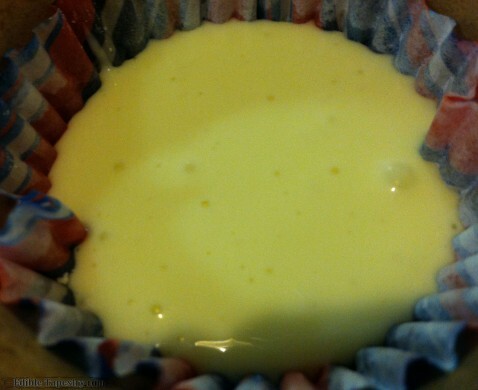 Divide the cream cheese filling among all the muffin cups with the baked and cooled crusts. 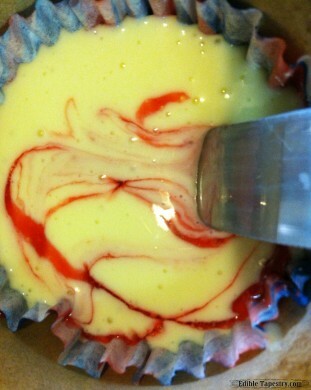 Spoon a little raspberry coulis into the batter of each. Gently swirl with a knife.